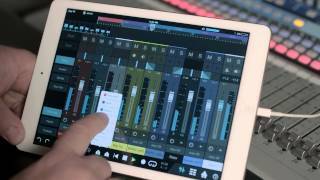 Free PreSonus® Studio One® Remote gives you the power to use your iPad®, iPad Pro, Android™ tablet, or Windows® tablet, Surface, or Surface Pro to extend Studio One 3 Professional with a “second screen” control surface in a workstation setup or a flexible mobile remote control for recording and mixing away from your computer. Studio One has always offered superior workflow; with wireless control, it’s even more flexible and convenient. Remote mixing on the go. From Studio One Remote’s Mix page, you have touch control of Studio One’s Mix Console, including inserts, sends, inputs, outputs, and cue mixes. Seamlessly navigate the transport bar and timeline ruler with markers and arranger sections. 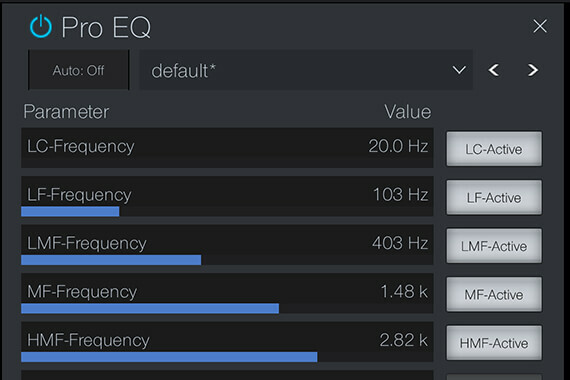 Use the built-in meter bridge as a song overview. It doesn’t matter where you are, as long as your tablet and Mac® or PC are on the same network, you’re in control. Control your entire effects chain on any channel through user-definable Macro Controls that give you quick access to the most important parameters from separate plug-ins in your effect chain. You can also take control of individual plug-ins with access to eight assignable knobs, eight buttons, and two powerful XY vector pads. Stock Studio One Native Effects come preprogrammed and third-party AU and VST plug-in parameters are assignable via Studio One’s easy-to-use Control Link. Work faster and better — even collaborate. Step away from your desk and set record modes, pre-count, and metronome settings while tracking. Adjust multiple cue mixes with independent faders and save and recall markers. Build or modify song structures through control of Arranger sections. Speed your editing workflow with Studio One’s powerful, customizable key commands and markers. With Studio One Remote, you can control any copy of Studio One 3 Professional that’s running on the same network or you can collaborate or create extended workspaces by controlling one instance of Studio One from multiple instances of Studio One Remote on independent iPads or tablets. 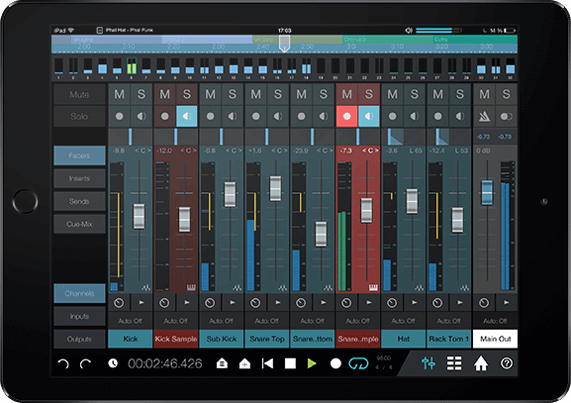 PreSonus pioneered iPad control for studio and live mixing, so you can expect Studio One Remote to be fast, intuitive, and easy to use. 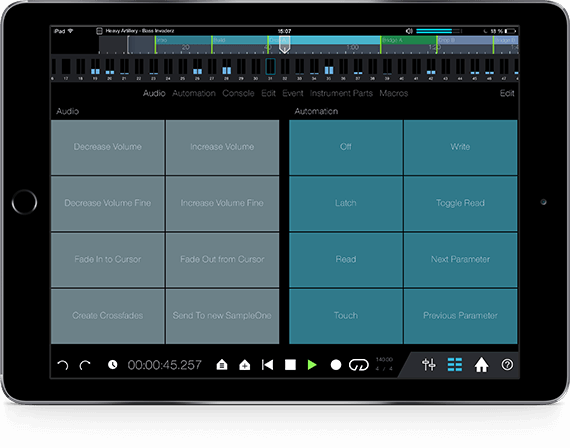 It uses the same PreSonus UCNET protocol that enables reliable networking and remote control in Capture, Capture for iPad, and UC Surface. And it’s available now for free.